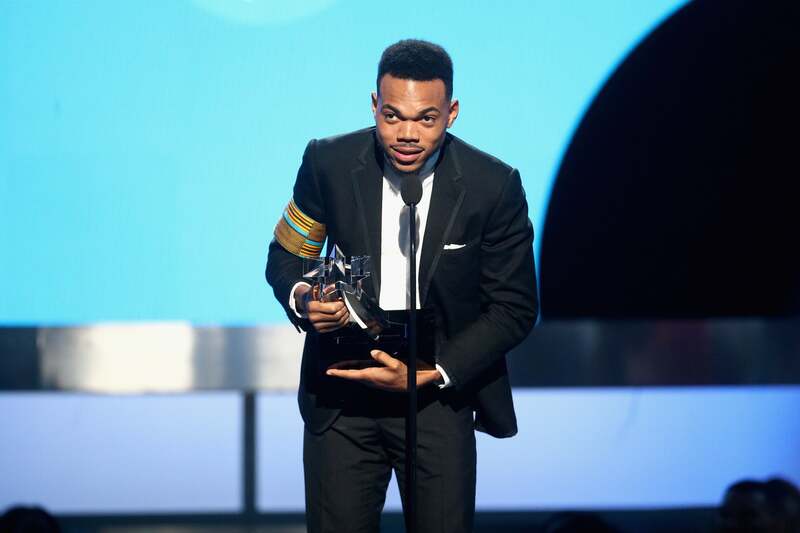 Chance The Rapper stole the night when he took the stage to receive the Humanitarian Award at the BET Awards on Sunday. The Chicago rapper was recognized for his outsized philanthropic efforts in the past year. Not only has he brought the Illinois state government to task over failing to fund Chicago Public School’s upcoming budget, but he also raised $2.2 million in under a month towards the same public school system. When he took the stage, Chance decided to speak from the heart —accompanied by some crowd love— covering everything from the prison industrial complex, police brutality, the Chicago school system, the weed economy, and fatherhood among other things. No, he doesn’t. Congrats to you!